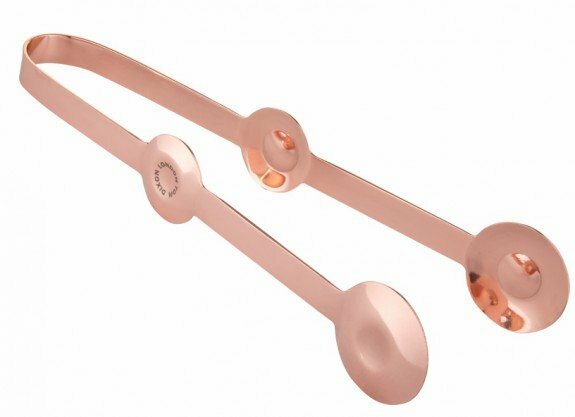 A pair of futuristic copper-plated cocktail tongs. Designed in London. Plum is a series of barware that brings cocktail culture and drinks traditions into a contemporary universe. Formed from glass and copper, each piece offers an attractive functionality to the restaurant, bar and home.